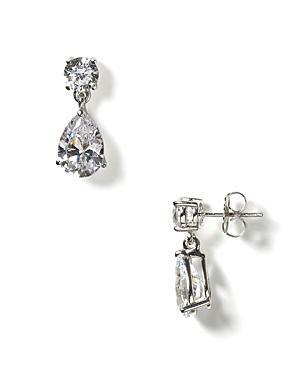 These princess drop earrings are a combination of refined pear-shaped stones that drop from a round stud with Cubic Zirconia set in sterling silver with a platinum finish. Crislu Princess Stud Earrings, 3.0 Ct. T.w. Crislu Faceted Princess-cut Stud Earrings, 1.5 Ct. T.w.